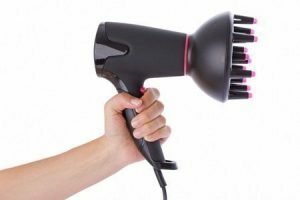 Diffusers are attached to hair dryers allowing them to be gentler on hair. It distributes the heat without being aggressive, which is perfect for drying fine, coloured, permed or naturally curly hair. A diffuser may be included with your hair blow dryer, or you may buy one separately sold. 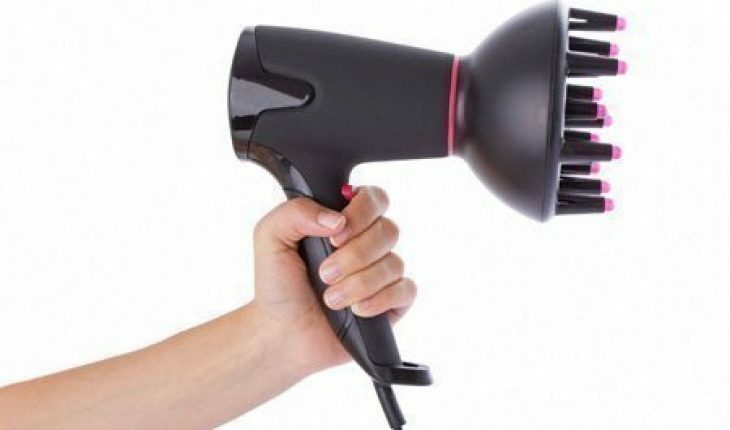 Attach the diffuser to a hair dryer set at the lowest speed. Dry hair beginning at the roots and using circular motions, always moving in the same direction. Continue drying, keeping the hair dryer at a 90-degree angle from the scalp. This will lift the roots away from the scalp giving the hair volume. Dry it upside down so that the roots fall away from your scalp. When hair is dry, throw it back and brush to style. Make sure the dryer speed is on low and the temperature is on warm, otherwise you will burn your scalp and damage your hair. Use a comb and not a brush if you comb through the part of your hair you are working on first. Using a brush will damage your hair during the process. Apply a desired product directly to your hair before beginning to dry, if you are working with a hair diffuser to obtain volume.